Our best soundtrack tournament continues with two new titles. 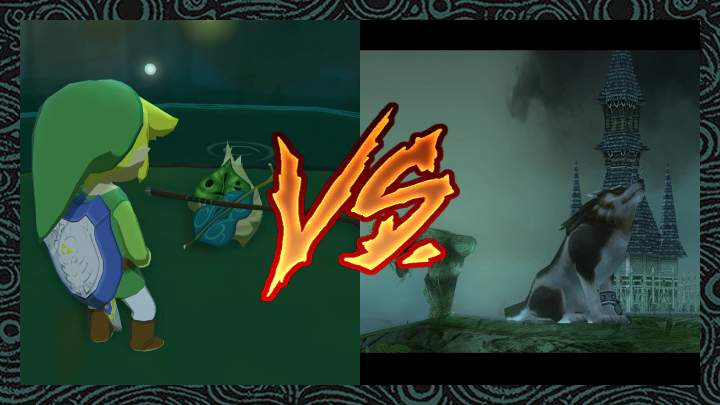 As Four Swords and Majora’s Mask duke it out in yesterday’s poll, The Wind Waker and Twilight Princess step into the fray. It’s this week’s main event, so let’s get to it! The Wind Waker marked a bold new direction for The Legend of Zelda, introducing a type of world we hadn’t yet seen from the series. To reflect this massive change to the status quo, the game’s composers crafted a soundtrack that was just as bold and original. Utilizing instruments like the violin, harp, and flute, the music of The Wind Waker takes on an almost Irish flavor. These songs are markedly more upbeat and lighter — and arguably more memorable — than Zelda songs of the past, most exemplified by tracks like “Outset Island,” “Dragon Roost Island,” and “Great Sea.” But despite all the striking details of this new sound, this OST still maintains a feeling of familiarity, seamlessly incorporating old Zelda melodies into newer arrangements. Twilight Princess‘s soundtrack is as cinematic as it can get. It’s fairly clear that the game’s team of composers set out to create a work befitting this grand and romantic fantasy epic. From just the opening choir of the main theme, the player senses the weight and grandeur of the adventure to come. Every scene, every location, and every climactic moment is expertly scored to draw out the most emotion from those playing. For just as Twilight Princess loudly celebrates the excitement of adventure with songs like “Hyrule Field Main Theme” and “Death Mountain,” the game also indulges in the more emotional moments of Link’s journey with songs like “Ilia’s Theme” and “Midna’s Lament.” This soundtrack is the Zelda series at its most expressive.